Also known as Demi or Split bottles, half bottles are a great way to enjoy fine wine in moderation, or if not everyone at the table is joining in. 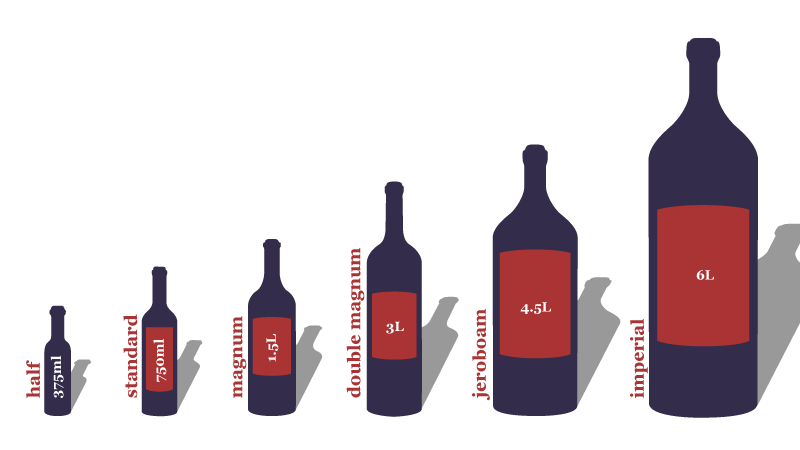 This is the most common size wine bottle. Wine tastes better in large format, and makes a dinner party very festive. A rare format, it is appreciated for retaining fresh aromas for a longer period of time. Also known as Rehoboam, this impressive size is equivalent to 6 standard bottles. This six liter format is quite rare and bottles are generally hand-filled in limited quantities only in top estates. Please let us know if you have a special occasion or other need for large format bottles. 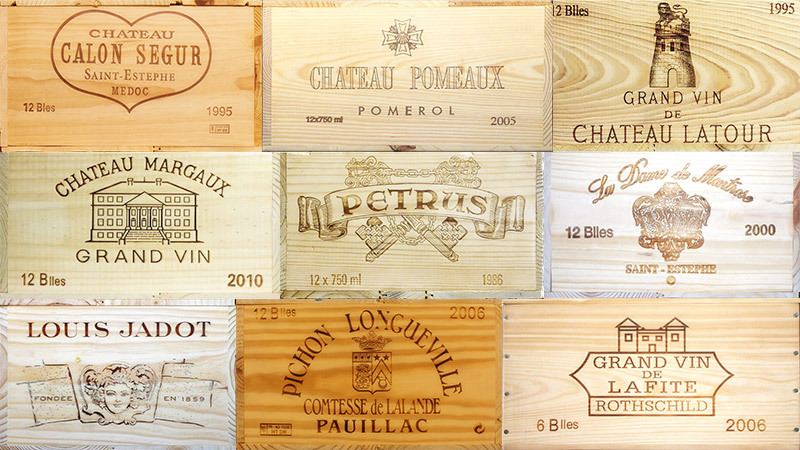 Many of our wines come in beautiful, original wood cases. We make these available whenever possible. Look for the "OWC" designation next to your selection or search for "Original Wood Cases" to see the range available. Due to shipping considerations, we must ship our wine separately to ensure its safe arrival, however, we can ship the OWC separately alongside your order.